There has definitely been a nip in the air recently and the nights seem to be drawing in ever closer. Reluctantly, I will be soon putting away those summer outfits and bringing out the autumn jumpers again. The one thing that I do look forward to as the chill begins to creep in, is the return of comfort food. I do love a great salad and a simple grill, but come September, I start to yearn for the warming foods of winter. Along with all the delicious soups and stews to warm the cockles, there is of course the excuse to bake, and with the Great British Bake Off finals done and dusted it’s hard not to feel a little inspired. Over 13 million of us tuned in, more than the World Cup Final! 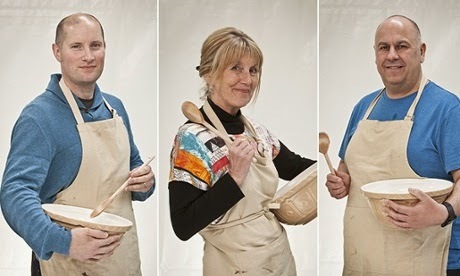 The 3 Bake-Off Finalists. Image via. Huge congratulations to Nancy, by the way, whose showstopper Moulin Rouge with moveable surgarwork windmill sails, won the day. The result of the programme means, once again, the nation is in a frenzy of caramel and custard. Nancy with her winning creation. Image via. Now, I’m never going to be the kind of girl to make a three-tiered extravaganza, but it does make me want to pull out the old recipe I learned at school. Though creating nothing as complicated as a choux bun tower, the aroma still wafts through the house as though there might be a star baker nearby. The Great British Bake Off has really captured our hearts and, I reckon, most of us who have been watching are looking at our tins and loaf pans and feeling as though it may be time to don the pinny and give it a whirl. It has been said that as a direct result of the show, supermarket sales have risen in the baking aisles. Apparently, membership for the Womens Institute has reached its highest levels since the seventies as well. I guess that’s the power of the fondant fancy. Now, if you have been inspired and have managed to whip up some delightful treats to be admired and enjoyed, maybe all that hard work merits a bedazzling way to present and serve them. Nothing makes a sweet sweeter than a beautiful stand to showcase all that effort and creativity. Or a lovely basket containing your freshly baked bread. An antique silver cake slice would surely be a fitting way to serve up that cake you've worked so hard on. 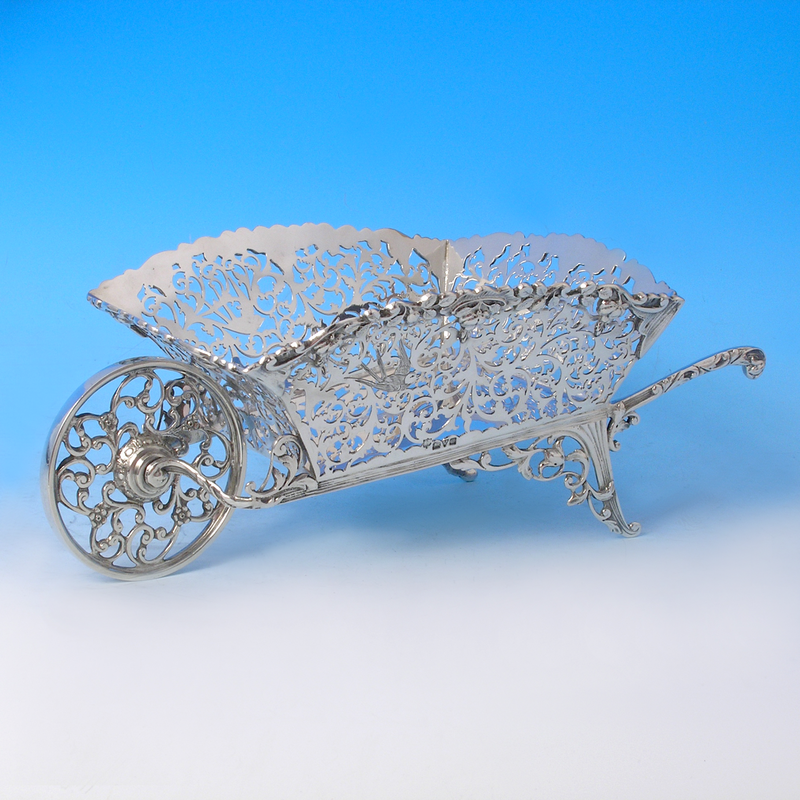 And, of course, a lovely silver dessert fork so you can scoff the lot in style. 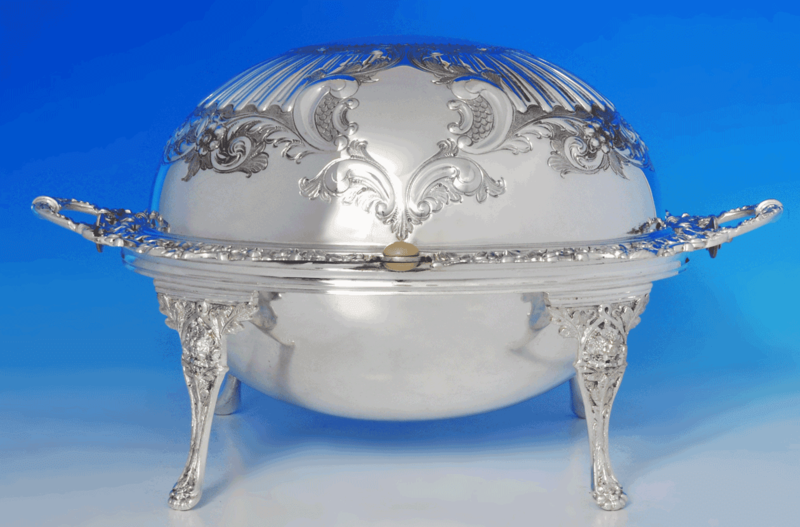 George V Sterling Silver Bread Dish. Click here to view on our website. Victorian Silver Plate Revolving Top Breakfast Dish. Click here to view on our website. 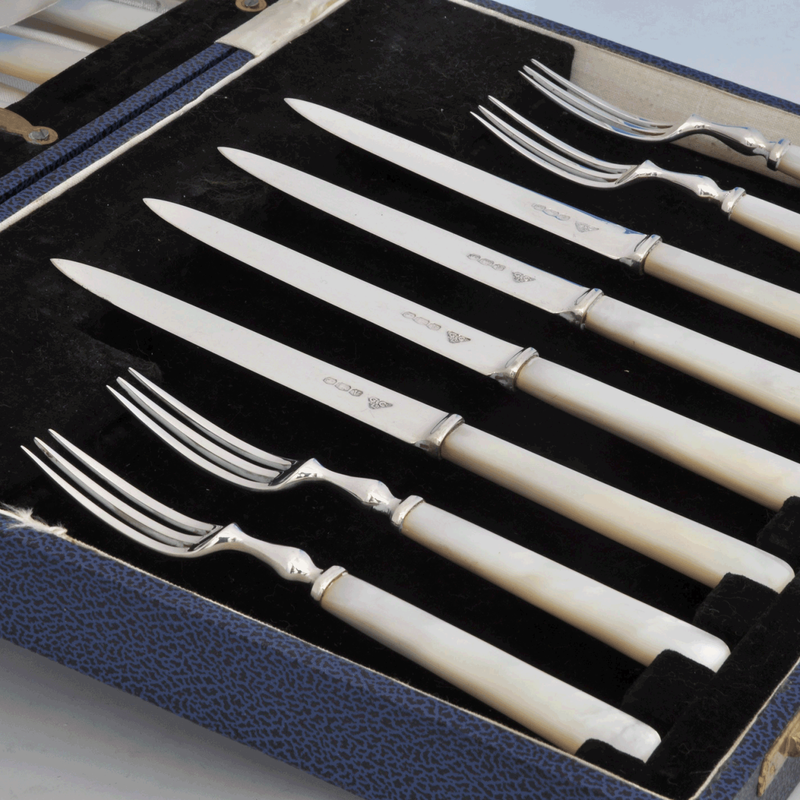 Devour that dessert in style with this sterling silver dessert set. Click here to view on our website. Adding a touch of elegance to the table can surely be no more than all your effort deserves.